3 bedroom apartment for up to 5 people in the historic former Hotel Löwen in Hospental (Parking lot on the parking deck of the house). Bus and train connection in place; N2 highway exit Göschenen. The Duplex is located in Chapter 4. Floor (lift) with dormer windows (skylights) in the living room and roof surfaces windows in the bedrooms. Present is a small indoor pool (free), sauna, solarium, storage / ski storage and a laundry room with washing machine. Living room with sofa bed, open fireplace, TV (satellite channels), radio with CD / Cass, games, small library. large table with corner bench. Kitchenette: electric stove (three hotplates, oven), sink, refrigerator; crockery, glasses and pot equipment; Fondue and raclette machine; Coffee maker, toaster. 2 lockable bedrooms (2 single beds, 1 deck or Folding mattress, wardrobe, table, 2 chairs), accessible by a steep staircase, each have mirrors, shelves, table and bedside lamps. Keys / caretaker service done on site: The specific location of Urseren Valley (weather sheath) enables short-term adjustment of enterprises to the relevant weather forecasts (which is better weather: Uri, Ticino, Graubünden and Valais?). From here, the sources of the Rhine and Rhone can hiked for short journeys and impressive passports tours (Gotthard, Furka Oberalp) are made. Ideal starting point for tour-goers. In the summer of cars and the make largely independent of the vehicle and offer the opportunity to reach many interesting tourist destinations. In winter, the Oberalp-Bahn also opens up the ski resort Sedrun Oberalp / Dieni-Disentis (Graubünden). Are offered rides on the Furka steam train (Realp-Furka-Gletsch overlooking the Rhone glacier), on the Glacier Express and the historic Gotthard post in the five-horse carriage from Andermatt Gotthard from the Gotthard to Airolo. Free ski bus for guests aged Hospenstal and Andermatt. Lovely vacation apartment. Clean and functional. We enjoyed our stay very much. Hospental, an old Säumerdorf in high alpine Urserental at the foot of the Gotthard pass in the canton of Uri, 1500 m above sea level. M., is conveniently located: N2 highway exit Göschenen / bus and train terminal. 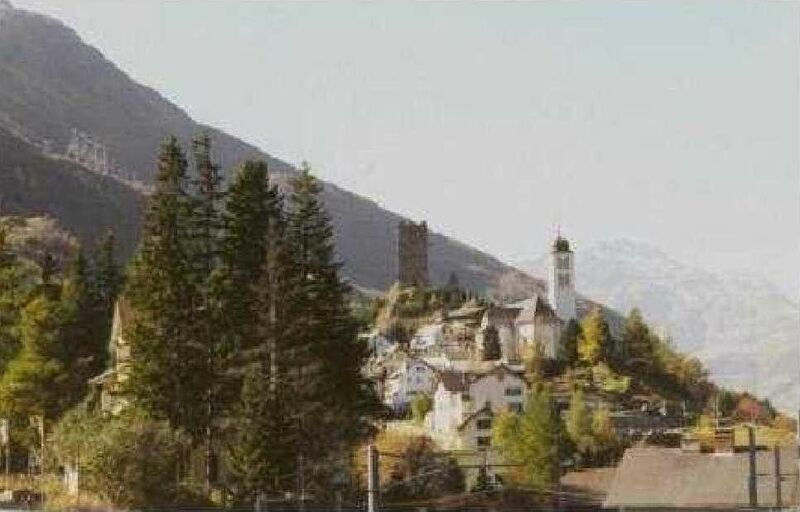 Its Baroque church and -kapelle, castle ruins, coming from Gotthard and Furka Reuss still untamed with historic bridges and old buildings give Hospental its own character; VITA-course. The Urserental, including Andermatt and Realp (each golf) belong, is the starting point for hut hiking, mountain / rock climbing and mountain passes (Gotthard, Furka Oberalp Pass) with car. Motorcycle or bicycle. Are possible rides on the Glacier Express from Andermatt or in summer with the historic Furka Steam Train from Realp (View of the Rhone glacier). The historic Gotthardpost goes fünfspännig by Hospental to Airolo. In winter, the Urserental is a paradise for ski runs and tours, snowshoeing and winter hiking in one of the snowiest regions of Switzerland with many ski lifts and slopes for all levels (lifts Andermatt to Gemsstock glacier, about 3000 m, and Nätschen; Realp ski lift) , Within the ski area Andermatt-Sedrun / Dieni the Oberalp Bahn, the lift on Calmut on the top of the pass and the lifts open in Val Val and above Dieni the vast ski Dieni / Disentis (Graubünden). Cross country ski through the entire Urserental of Andermatt, Hospental, Zumdorf (guest house) to Realp.